When you outsource to Peninlog, you outsource with confidence. Combining the right mix of domain experts, technical skills, vastly experienced management and robust infrastructure and systems, we blend and build the right solution for your enterprise. Right from our inception, we have taken a process-centric approach, to ensure every project rolls out in a systematic and successful manner. Take a look at our delivery model for a better perspective on our development approach. Looking to develop a solution which will be a value-driver for your business? Peninlog, has the expertise to take it to fruition. In order to build and market a software product you need to understand the customer environment (B2B or B2C), the market potential, operating environment and most importantly, the availability of appropriate technical skills and resources. Most often, you have to look elsewhere for specialized technical skills and expertise. 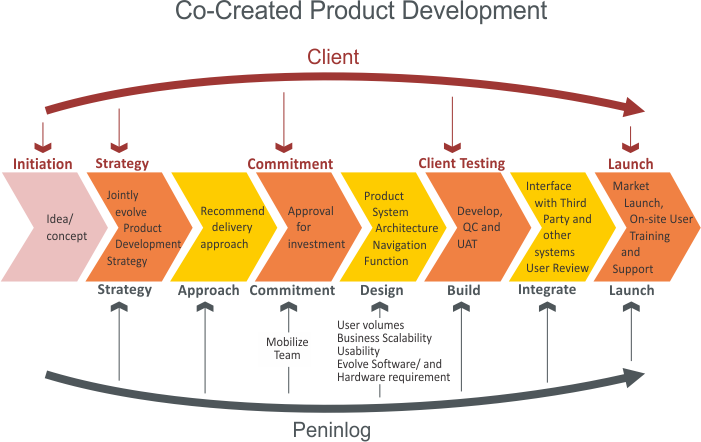 At Peninlog, our good understanding of business practices, domain and technology environments, help you quickly launch your product. 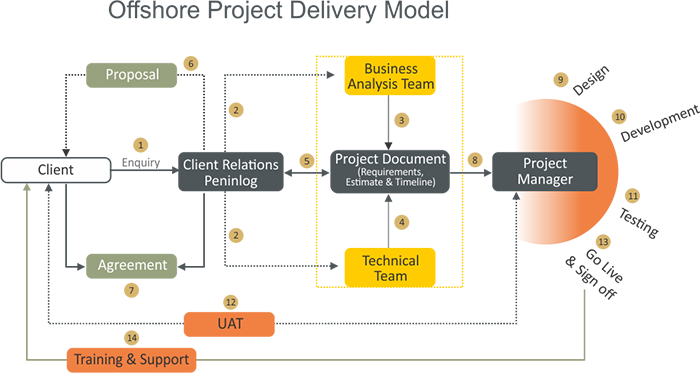 Adopting a stringent collaborative framework, we help shorten time to market and optimize product development costs. Right from the start client and Peninlog travel the distance to enable wider acceptance and successful adoption in the proposed market or niche.